Got The Flu? What Now? — Train indoors. Play outdoors. Got The Flu? What Now? It’s mid-January 2018; A New Year! With the New Year comes… resolutions? Yes. Champagne? Probably. A new gym membership? Maybe. The flu? We hope not! Unless you don’t know anyone you probably know someone or are someone who has or had the flu this year. Whatever it is about this year’s virus, people are being hit hard with little to no mercy. *We are not saying that if you do the below you will never be sick, this blog is meant for the best preventative practices we can manage. Stay away from adults and children. Kidding! Buuuuut adults can pass on the flu for a whole day before they even have symptoms and then for a week after their symptoms start. Kids can transmit even longer before they present with symptoms. AND you don’t have to actually be in contact with someone to pick up the flu from them. The flu has about a 6-foot reach. This is why you can go to the mall and not touch a single soul and then come home with more than a Gap bag. So I guess add to the list: don’t go to the mall. Build up that immune system (your gut) we hear so much about: But real talk, around 70% of your immune system is in your gut. The gut is responsible for so many good and bad things and is only partially understood by the smartest of people. But studies are beginning to reveal that gut issues affect a HUGE percentage of people and the symptoms can manifest in a myriad of ways throughout your body. Getting your gut right is the first step in getting your health in check, not just for the flu but for disease in general. Because everyone suffers different issues that require different and specific attention I will not go into “how to fix your gut” here because what is relevant to me, for example, might not be for you. But I do recommend taking advantage of our free consultation to find out how you could benefit from gut health. That said, here are a few simple tricks that are great starting places: Start your day with a small glass of water with a teaspoon of apple cider vinegar or lemon juice. Sleep: How good does a nap sound right now? If the answer is “good” then you should probably go take one; you’re tired. When we sleep tiny little workers clock in and start the overhaul of our immune system. You work an 8-hour day? Those workers need to as well. The more you sleep, the more work gets done internally. If your blood sugar is in check and your hormones that are supposed to keep you feeling rested throughout the day are in check and you are getting adequate sleep then you, my friend, have a good to start to a recipe for health. It shouldn't ideally be that hard to get out of bed and you should be ready for sleep at night. D: While I am all for getting what you need through food sometimes certain supplements have their place. I hesitate to make blanket recommendations in a blog. For the most accurate info, get your Vitamin D levels tested and talk with your Doc or nutritionist. That being said; we live in the PNW. You’re probably deficient. Supplementing with Vitamin D can help with viruses and your immune system. Make sure you get D3 and not D2. NAC: N-acetylcysteine. While we are talking about supplements here is one more that can be helpful in preventing the flu or keeping it’s symptoms at bay. NAC is an amino acid that also naturally occurs in foods and is known for helping our bodies maintain glutathione levels. Glutathione is an antioxidant that removes oxygen and free radicals from our cells that may cause cellular damage if left. 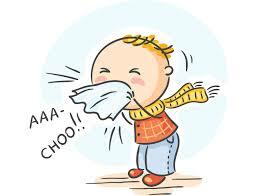 NAC has been directly linked to reducing the flu as well. It lowers our body’s inflammatory response when the flu develops and also lowers the ability of the flu virus to replicate in cells. If it cannot replicate the virus is often fought off before it can fully develop. *Again, check with your health professional before supplementing. You can also get it naturally through certain foods, mainly cruciferous veggies. Put down the sugar! : Sugar is addictive. If, after the holiday season you have found yourself tiptoeing to the sugar stash in the middle of the night or craving something sweet after every meal or just all the time, it’s time for a little reset (and it’s not too late to join the EAT challenge!). Here’s one reason sugar is mean: Phagocytes are a type of white blood cell employed by the immune system to ingest and kill invading bad organisms. Simple sugar intake reduces our phagocytic index making the reduction of the bad guys take longer. Sugar also increases inflammation generally in the body making things take longer to heal. Okay, so you already got the flu and are lying in bed wondering how this blog is going to help you now. Start the above once you’re better and in the meantime…. Fill your coffee cup with bone broth: Great for gut health and supporting your immune system. Raw garlic: You’ve probably heard this one before and it’s true. Cut up a clove and eat it raw. Just do it! You have the flu… no one is making out with you anyway. Do not be a hero; go to bed: You can try and fight it or you can just give in and get in bed. Let your body repair itself and go to sleep. Eat nutrient dense foods: You need vitamins and minerals, particularly vitamin A, C and zinc. Foods containing those vitamins and minerals: Eggs (the whole egg, ESPECIALLY the yolk), bone broth, grass fed butter, carrots, sweet potatoes, dark leafy greens, bell peppers, pineapple, oysters, and red meat. These might not feel great to stomach in the midst of the flu but do drink all the liquids, particularly bone broth. Drink all the water: Flush that Sh*T out! Your body needs to excrete. Give it the means to do that. You can add a little apple cider vinegar to your water to break up any mucus and stimulate your digestion which may give you more of an appetite to try and get some nutrients in. What’s happening internally is what’s causing health or disease. With that, start 2018 out right with making your health and what’s happening inside you body a priority. If you have concerns about your health we’d love to chat! There is truly not a lot we like to talk about more than food. Schedule a free Nutritional Therapy consultation today!